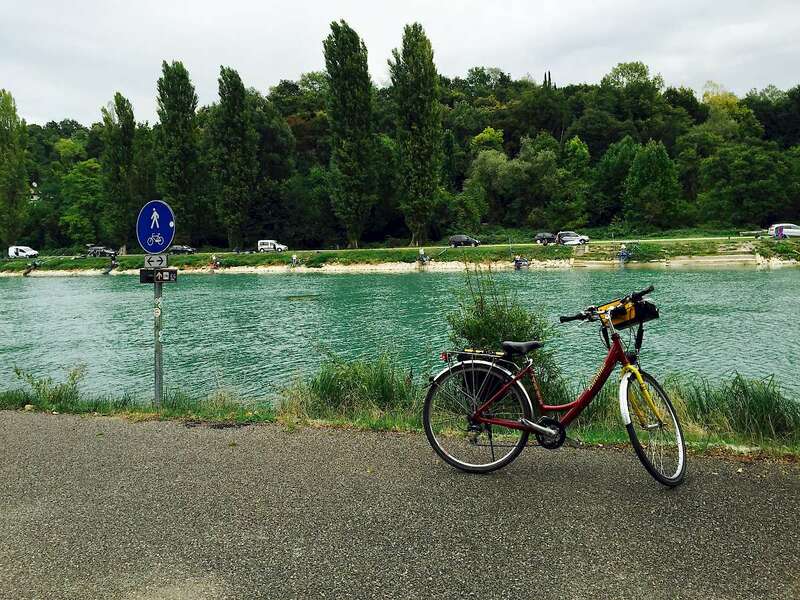 I had wanted to do a bike tour in Europe for ages—for the beautiful scenery, cool weather, and the exhilaration of the miles rolling by under my wheels. But it was quite terrifying for me for a number of reasons. Firstly, I’m a female traveling alone in a foreign country. Second, I had never actually ridden more than 30 km in one day (though I’m pretty fit and can run and stuff). Finally, I’m a little nervous about riding in traffic alone! So I took a number of precautions. 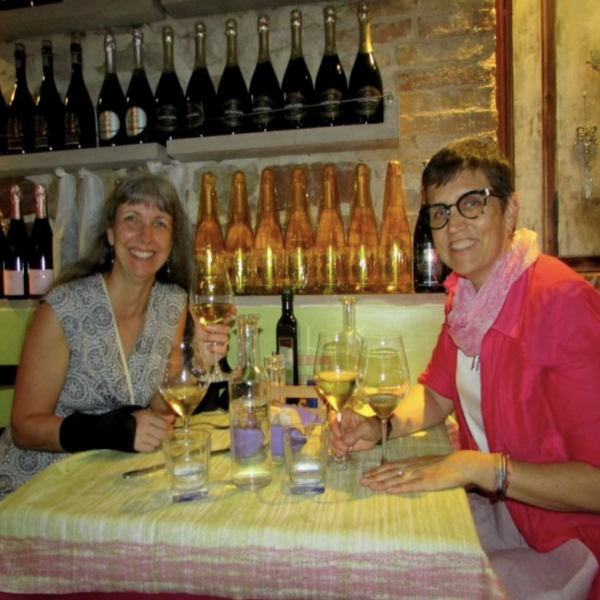 I chose an easy, short trip—Bolzano to Verona, with just 4 cycling days, as a taster. 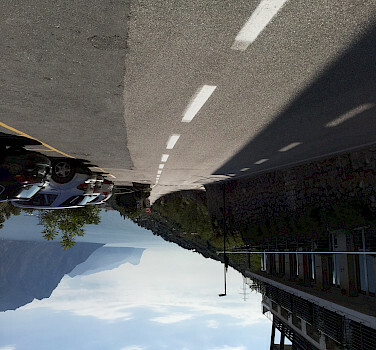 I got an Italian SIM card so that I get GPS along with the maps as well as Google translate. And I made it my policy to ride slowly, but safely! The first day was a light one, just 30 km, though with a long 8 km uphill through Caldaro. 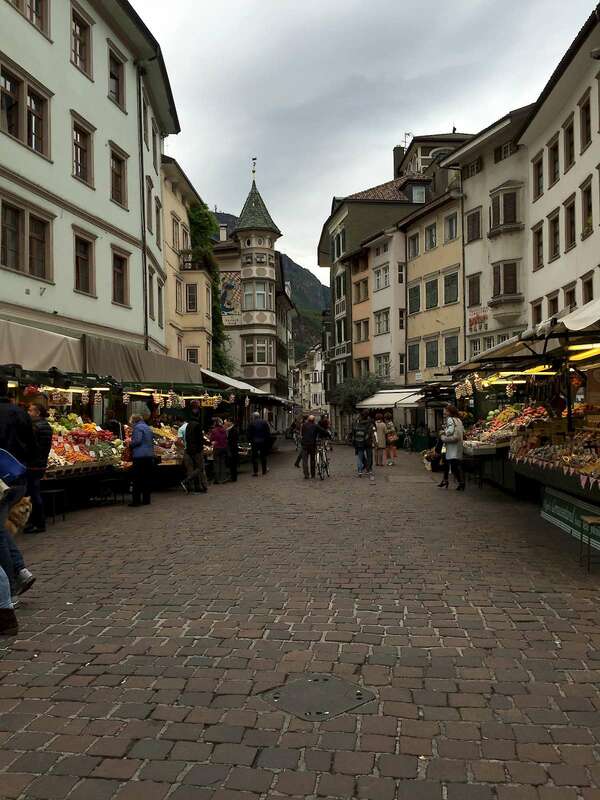 I decided on a late start so that I would be able to explore Bolzano’s morning market, having arrived quite late the previous evening, and also do a bit of a route recce out of town. Turns out I needn’t have worried—there was something like 20 bicycles to every car I saw! In the end, I just followed what the locals did and all vehicles gave us a wide berth. And I’m off! 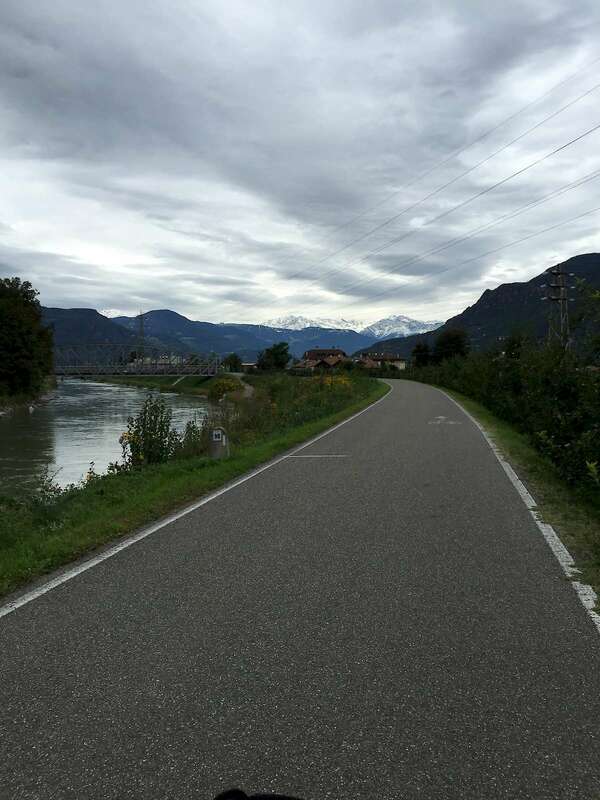 It was absolutely exhilarating, riding by the river Adige with the Alps in the distance. The 8km of uphill was tough and I stopped a couple of times for a water break and to check my GPS. Once, another solo rider saw me looking at the GPS and asked me for directions to Mendelpass—he was riding something like 100 km that day with a 1 km elevation climb! Well, that’s something to aspire to in the future. I did get a little lost coming out of Caldero when I had to turn off the bike path, but managed to find my way back onto the cycling path with a lovely downhill to the lake, and then across the river to Ora, my stop for the night. Which turned out to be a final surprise uphill! But I made it to the Biohotel which was lovely, just like the chalets in Switzerland. 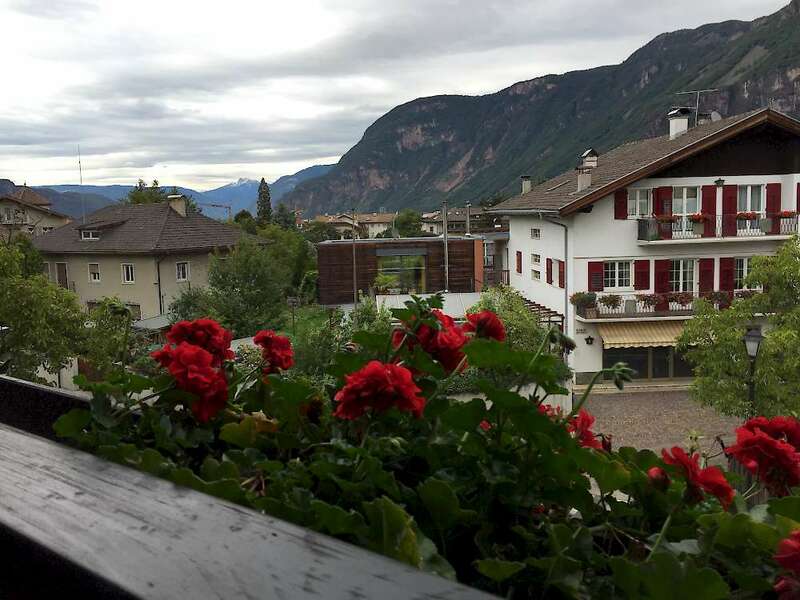 As an aside, the whole South Tyrol region was fascinating—it’s a mix of Italian and Austrian culture, effectively bicultural and bilingual and all the road signs and menus are in Italian and German. And another wonderful thing about South Tyrol is that the tap water is of exceptional quality, straight from the springs of the Alps, and public fountains are everywhere. 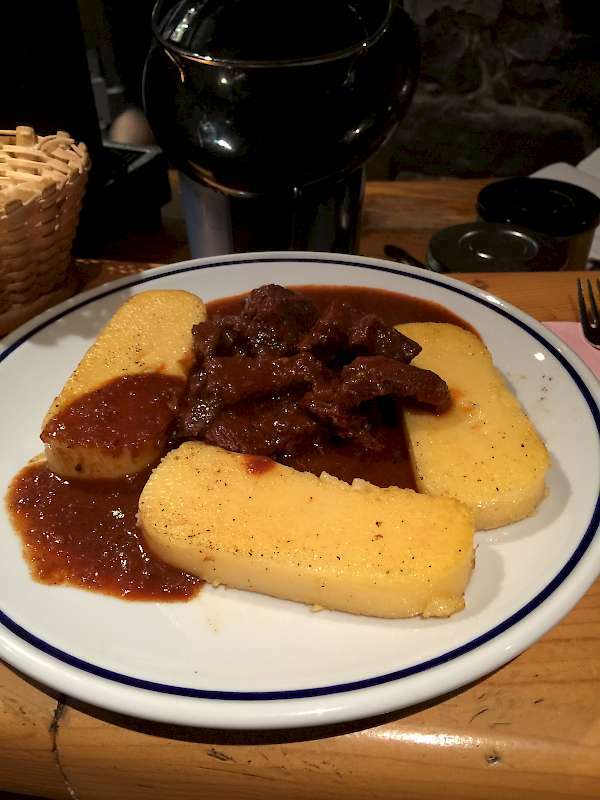 Dinner that night was beef stew with polenta at the Tschurch Keller, recommended in the tour guidebook and also one of the top picks on Tripadvisor. Actually, I couldn’t read the menu, so I just asked the staff to recommend something. Yum! 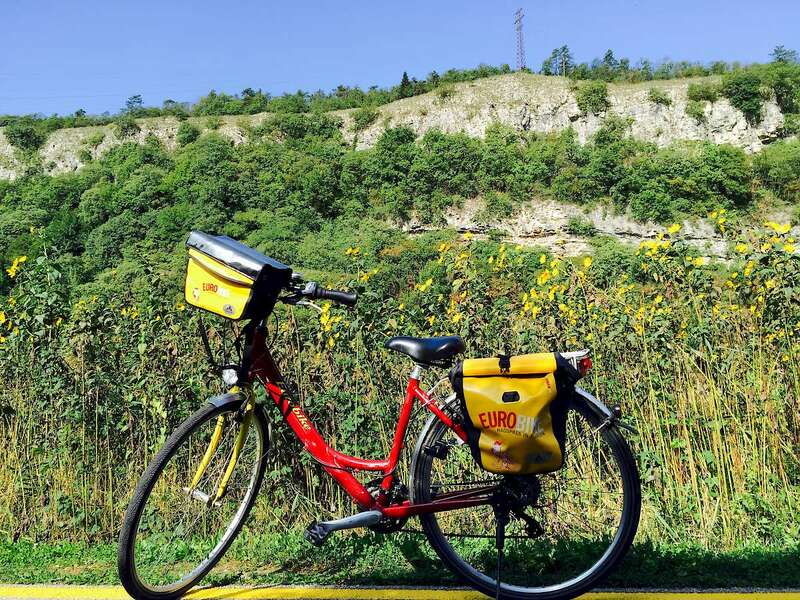 My second day was my easiest, 50 km of straight flat road along the Adige. The weather was beautiful too. 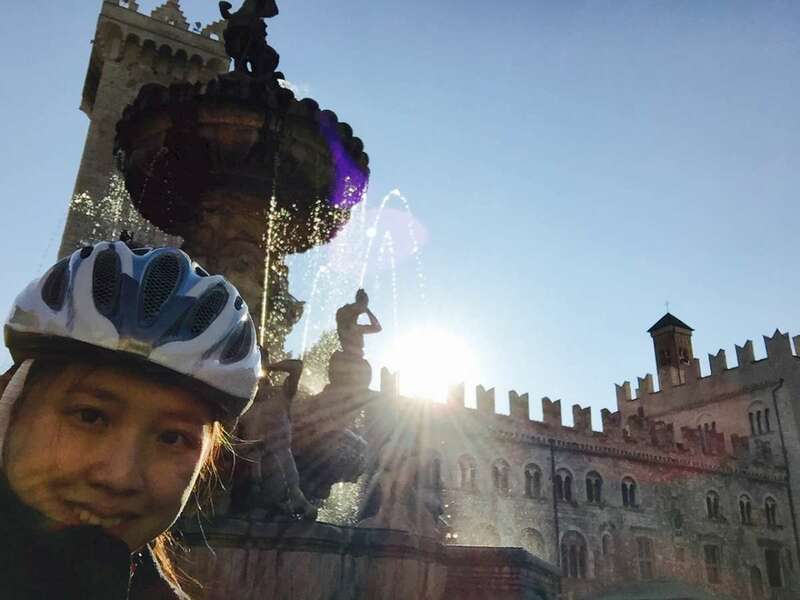 50 km later, I was riding into the beautiful Duomo Piazza of Trento. I arrived about 3 pm, leaving me lots of time to shower and explore Trento. 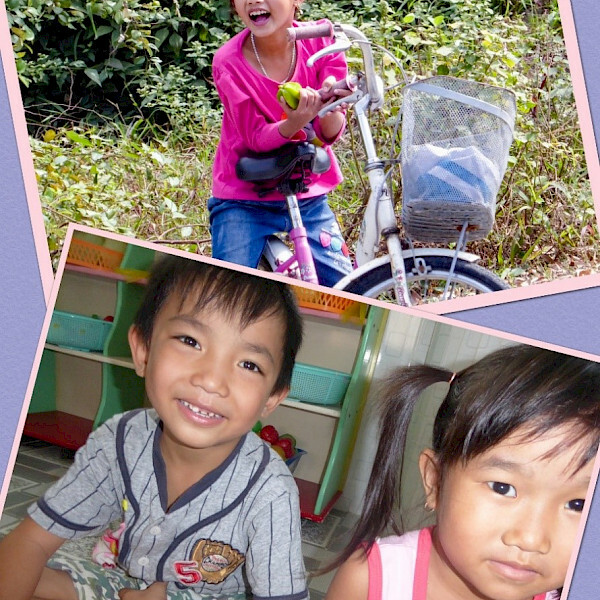 The next day was an early start and the one I was particularly nervous about. 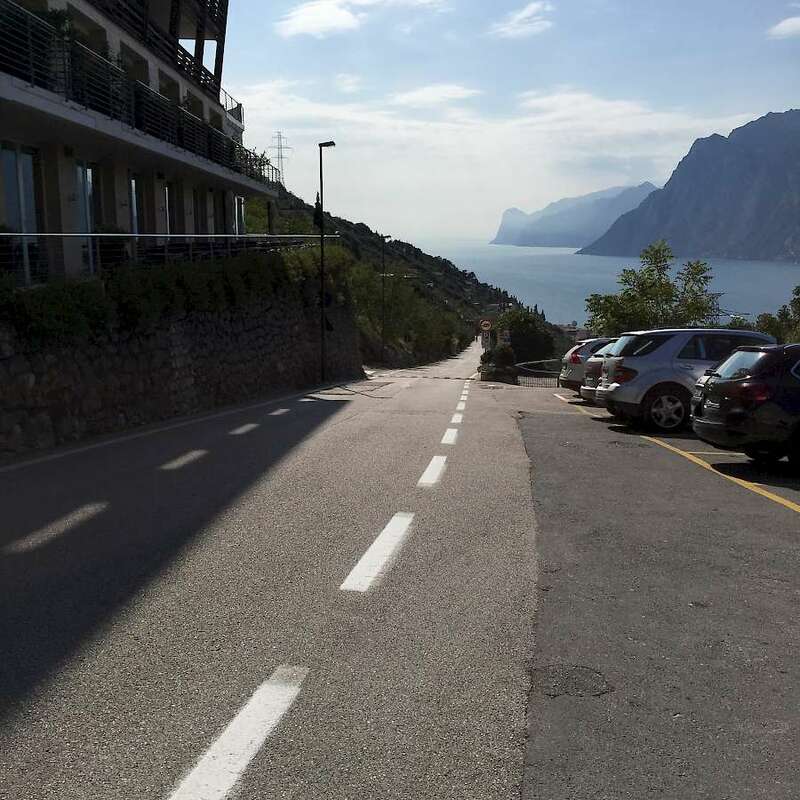 I would be turning off the Adige, and doing a big uphill climb before I would have to arrive at Riva del Garda by 3:15 pm to catch the boat. So there’s a bit of time pressure added! I set off before 9 am, determined to give myself lots of buffer in case I got lost or the uphill was really bad. Introducing my trusty bicycle—by the time I took this picture, I had been in the saddle for 2 days and it felt like an old friend! The first big climb of the day was in Mori. I actually missed the turnoff as the usual route was diverted due to roadworks and so I didn’t see the turn off sign. 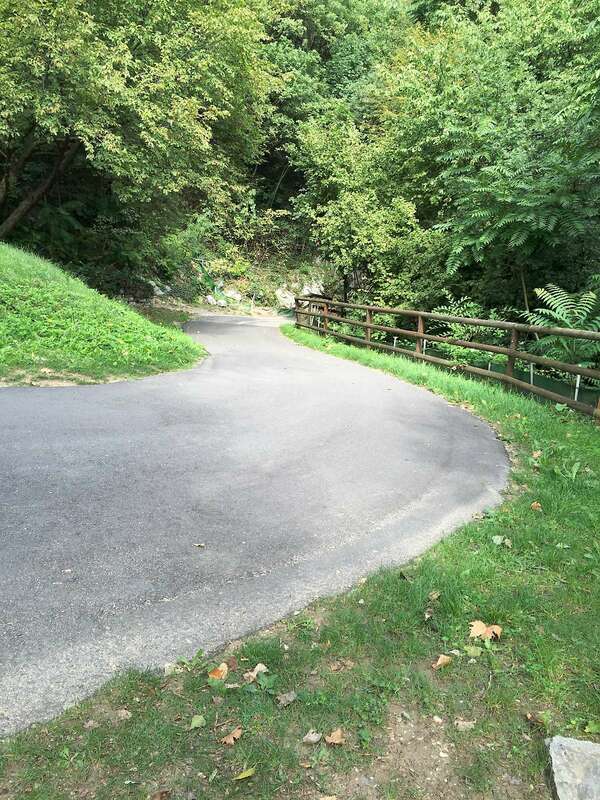 But thanks to the maps given by Eurobike and my trusty GPS, I was quickly back on the right track. After stopping in Mori for a quick lunch, I was off to the next challenge—a thick triangle in the map, which indicated a steep climb up, steeper than any I had faced so far. 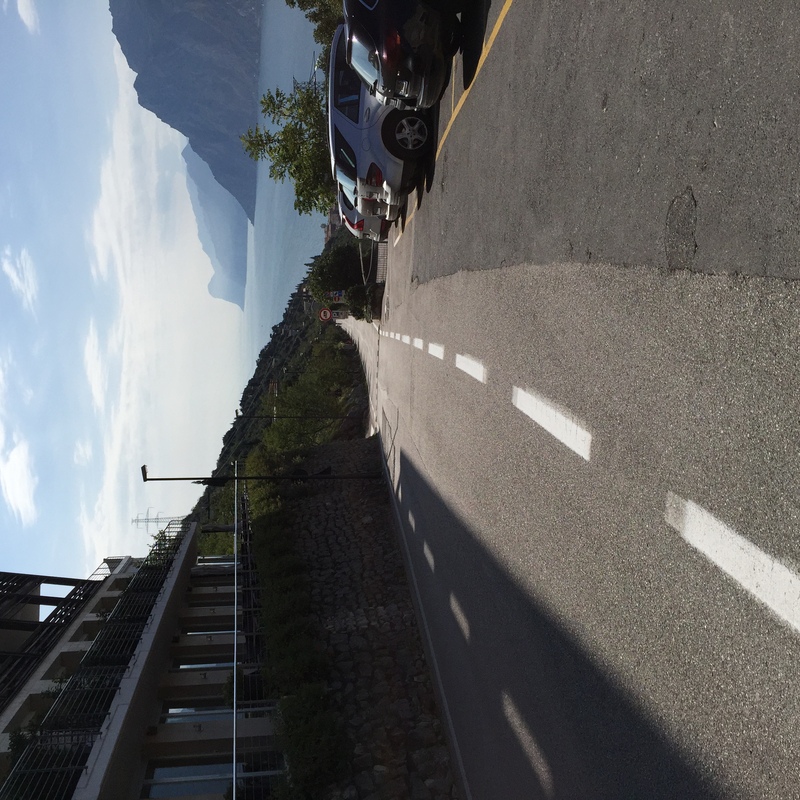 And downhill towards Torbole, on the way to Riva del Garda. 45 km down, 7 more to go! 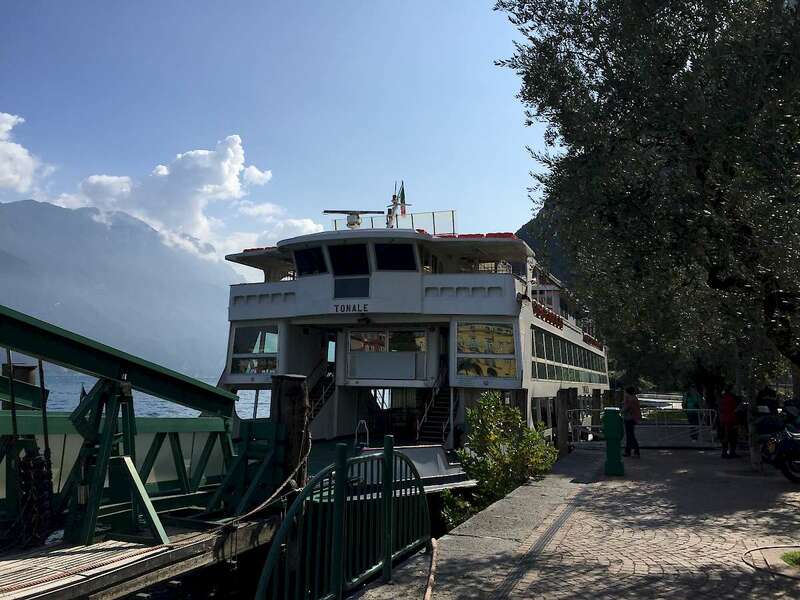 I made it to the dock at 2.30 pm, with loads of time to spare, despite getting slightly lost in Nago after following the wrong directions to Torbole and ending up on a pebbly footpath! I got onto an open top boat with 4 stories. Level 1 for the bikes, level 2 indoor seating, level 3 restaurant, and level 4 rooftop. 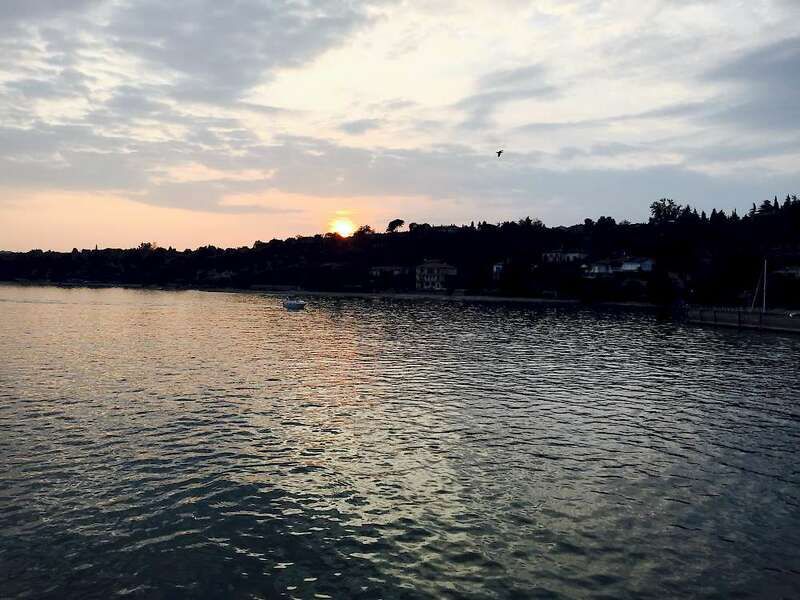 I spent most of outdoors luxuriating in the breeze, watching the yachts, and the taking pictures of lake towns which we stopped by. 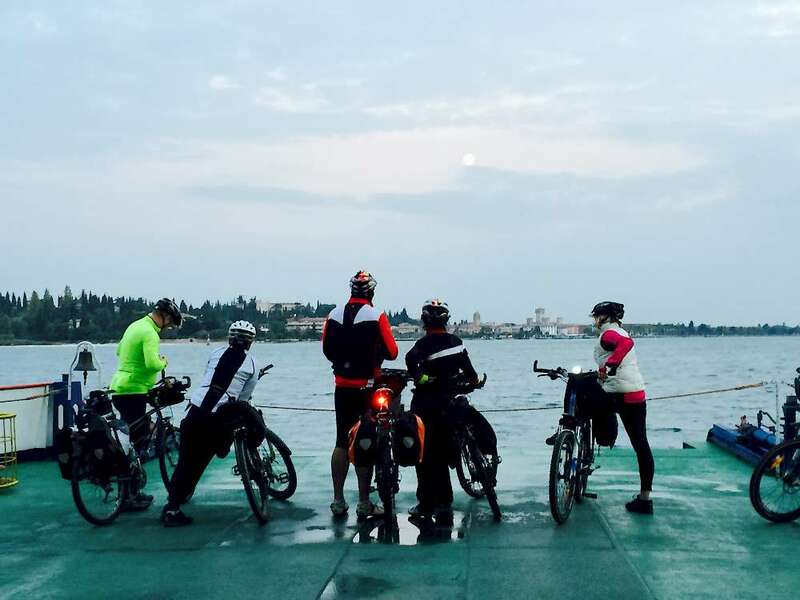 Approaching Sirmione. All the cyclists can’t wait to get off. And that is the moon in the sky! 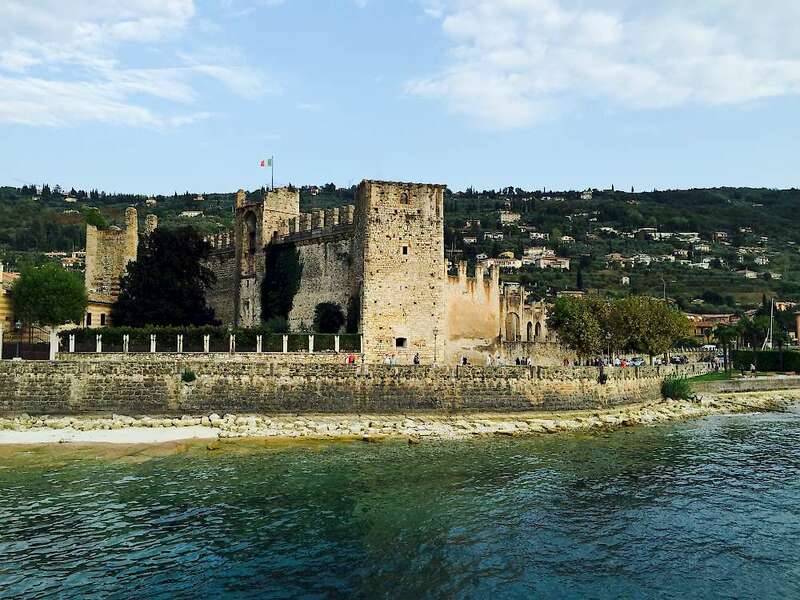 Sirmione was absolutely beautiful. I was actually rather sad that we arrived so late at night which cut into the time I had to explore the town! Most of it is enclosed within an old castle, with tons of shops. I did manage to get up early in the morning the next day for a lovely walk through the old town, before all the tourists arrived. 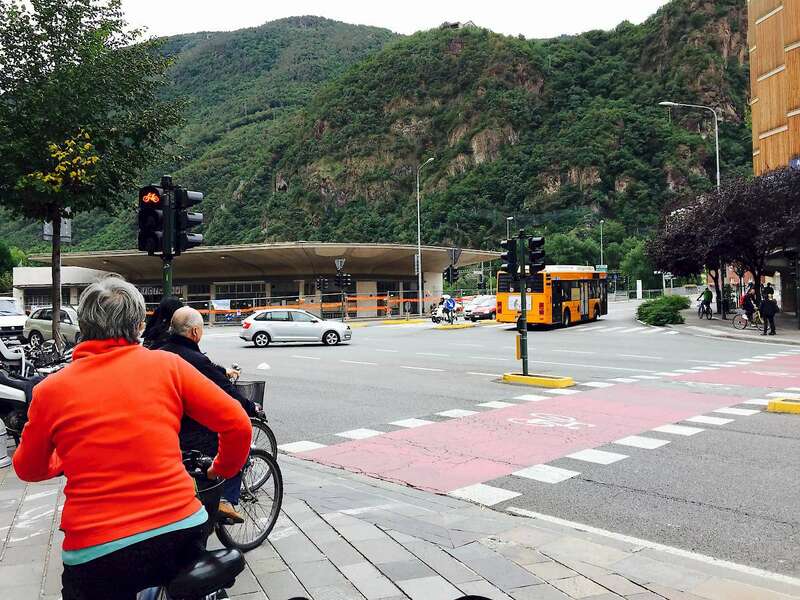 And then it was off for my 4th and final day of cycling to Verona. This would be a different challenge for me as I would be getting off the cycle paths and on country roads. And that’s when I realised that I was no longer afraid of traffic! The traffic is so light and the vehicles really do give cyclists a wide berth—I just had to keep calm and do my thing. 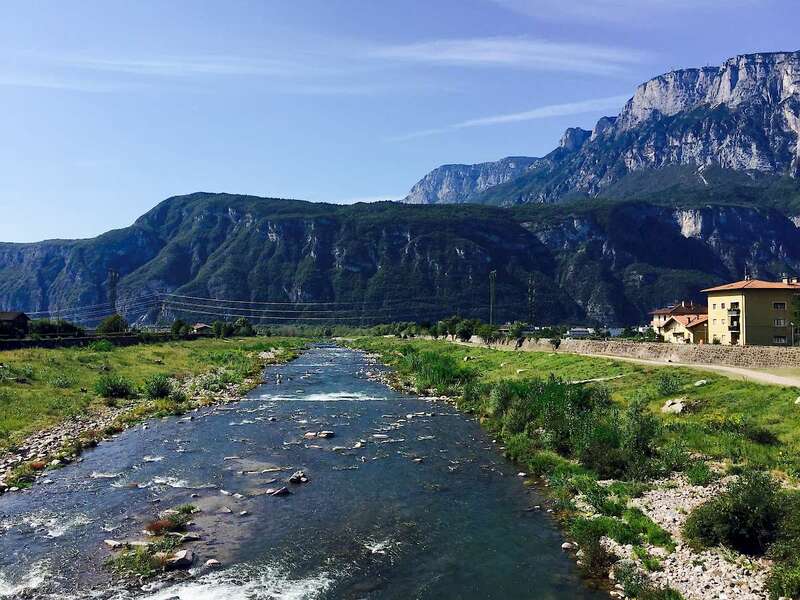 The little river that marks the boundary line into the province of Veneto. 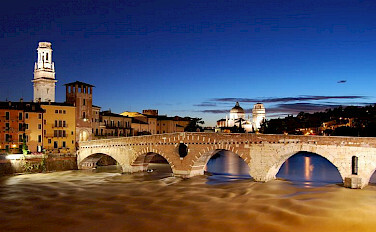 As I rode into Verona, it was like fireworks went off in my head. 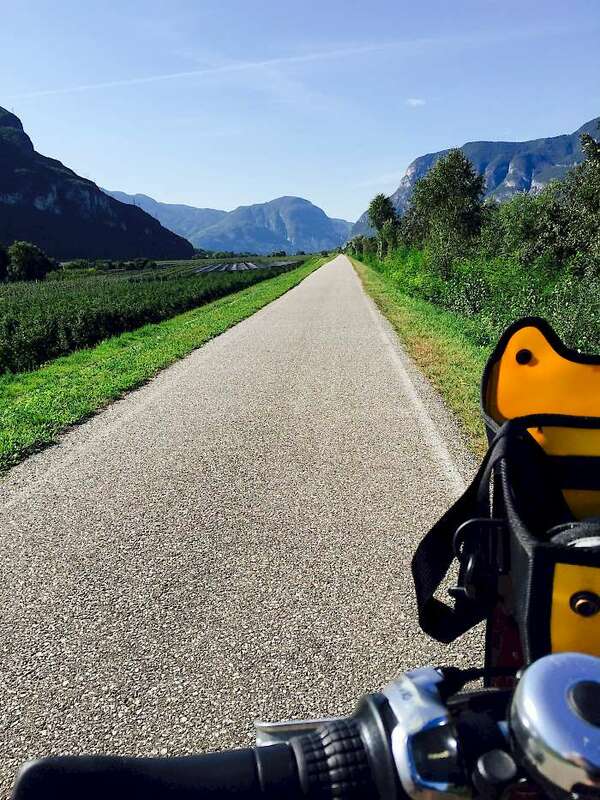 180 km through Northern Italy—I had actually done it! Now—what next? 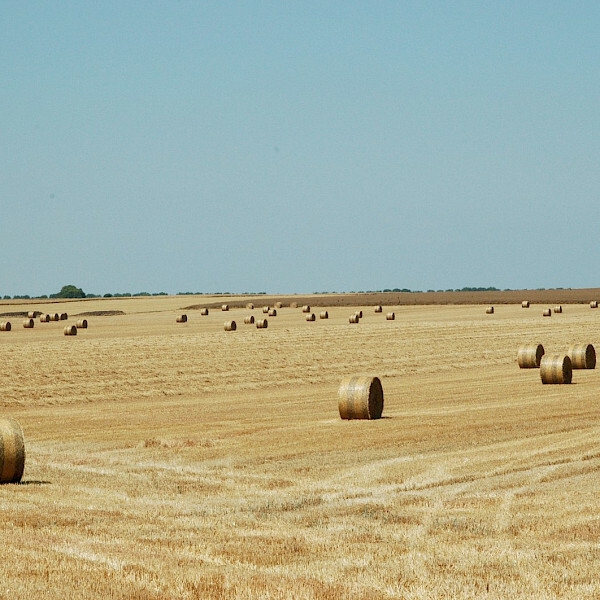 Blue Danube, Tulips in Netherlands, Croatia… the possibilities are endless! 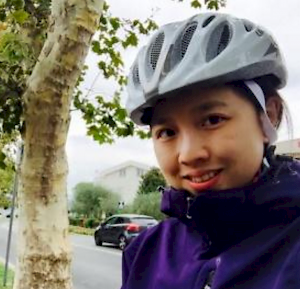 Emily is a Chinese Singaporean who has finally gotten past the cycling stage where she squeals upon seeing a bump in the road and is striving to challenge herself every day.